Our business idea supports this vision by providing products of quality and value so that we can help people to turn their ideas into reality and to take education to the next level. STEAM Education is a new teaching concept that integrates the Arts with the traditional STEM subjects: Science, Technology, Engineering, and Mathematics. It emphasizes practice-based learning concepts instead of theoretical knowledge. Practice-based learning encourages students to participate in projects that they are interested in and also allows them to conceptualize technology they are familiar with. Students will gain comprehensive skills such as critical thinking, problem solving, creativity, innovation, and collaboration. The skills they learn through practice-based learning will enhance and spark our future generation in STEAM education. STEAM refers to science, technology, engineering, the arts and mathematics. We provide hardware and software products, supporting materials and online educational resources, so that you can easily use our integrated solutions for self-study or teaching. Additionally, we regularly arrange a variety of robotics competitions to give everyone the opportunity to use technology to realize their ideas. 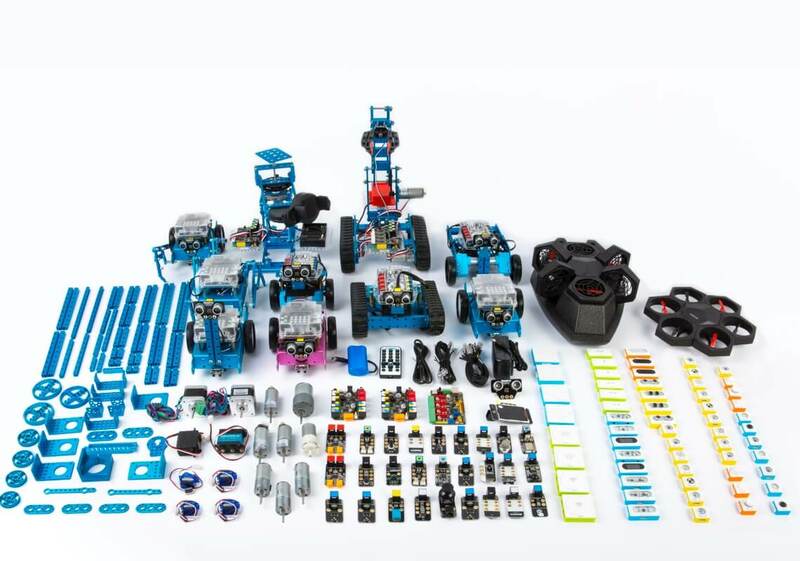 Makeblock offers a selection of hardware products, including the Maker Platform for DIY creation, the mBot series robot kits for education, the modular and programmable flying robot Airblock, the programmable electronic building block platform Makeblock Neuron, and the edutainment robot Codey Rocky. From single parts to hardware kits, Makeblock’s hardware products feature award-winning industrial design and accreditations from international education standard. 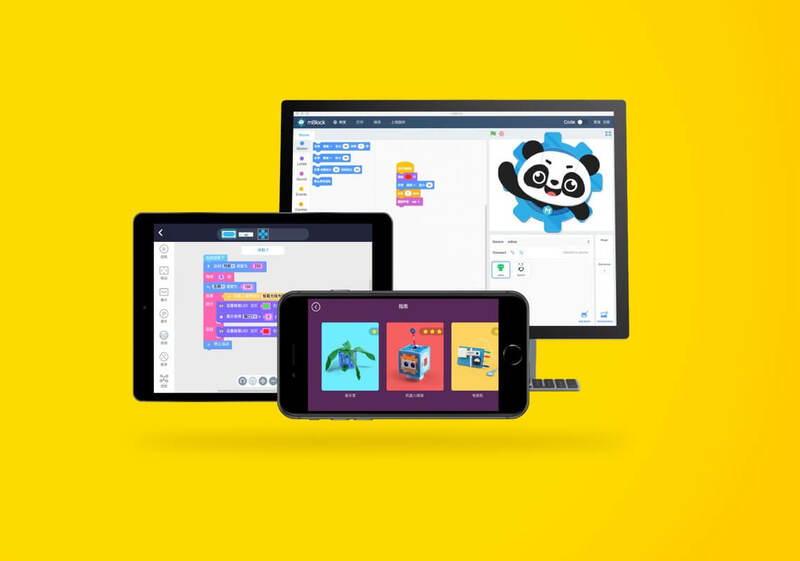 Makeblock has developed a series of programming suites for STEAM education. mBlock 5 is a powerful platform supporting block-based and text-based programming. 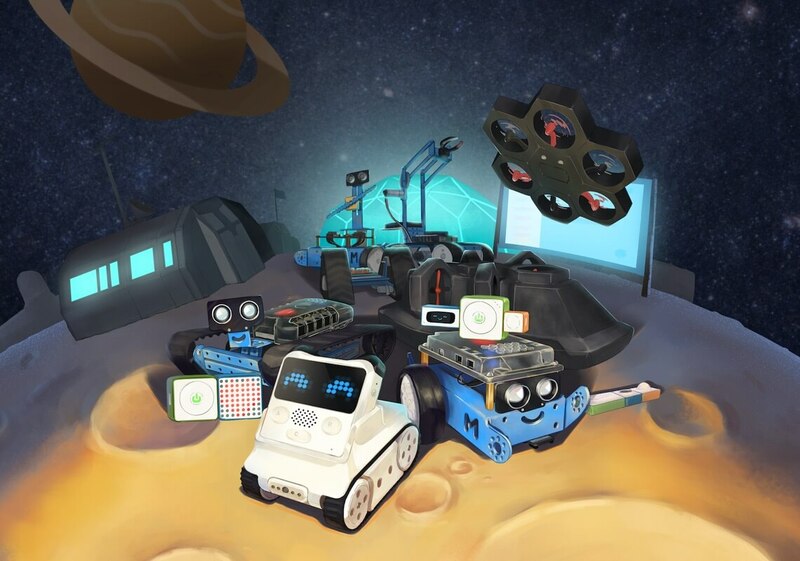 Makeblock App is an all-in-1 controller for Makeblock robots offering a comprehensive robotics experience for beginners. Neuron App is a flow-based programming software with AI and IoT support, encouraging creations using Makeblock Neuron blocks. Our easy-to-use software make coding interactive, easy and fun. To date, the total number of Makeblock software users exceeds 8 million and continues to grow. 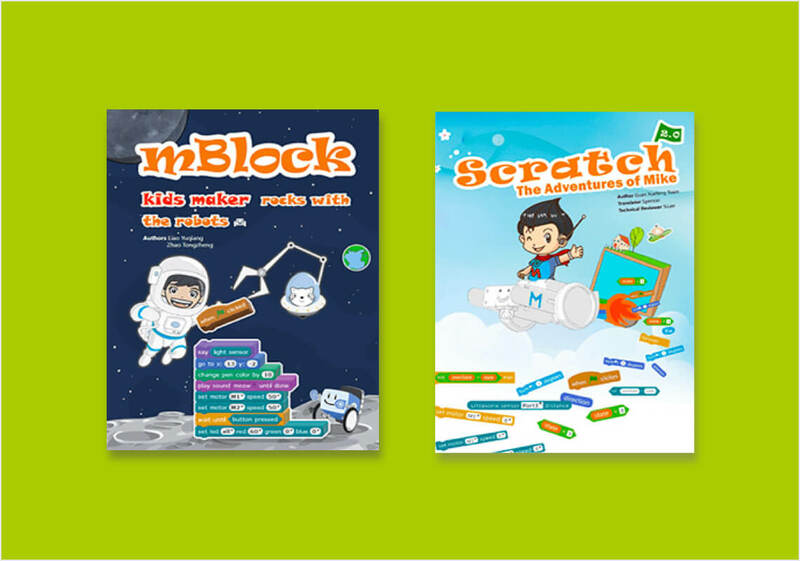 We provide Makeblock users with high-quality content for independent learning, educational use, and entertainment. You can find multilingual textbooks, videos and a variety of new and interesting use cases to help you get started with our products and rapidly advance your learning. MakeX is a robotics competition platform that promotes multidisciplinary learning within the fields of science and technology. It aims at building a world where STEAM education is highly appreciated and where young people are passionate about innovation by engaging them in exciting Robotics Competition, STEAM Carnival, etc. 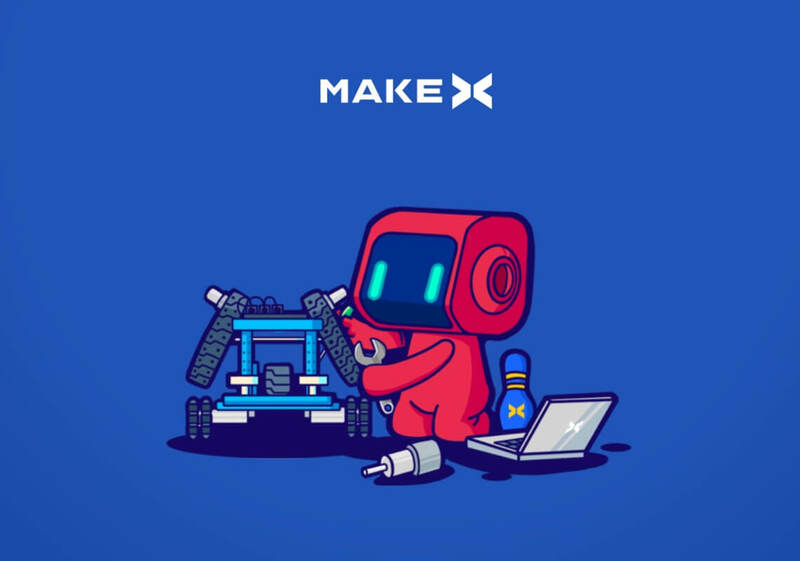 As the core activity of MakeX, the namesake MakeX Robotics Competition provides exciting, challenging and high-level competitions in the spirit of creativity, teamwork, fun and sharing. It is committed to inspiring young people to learn Science (S), Technology (T), Engineering (E), Art (A) and Mathematics (M) and apply such knowledge in solving real-world problems.